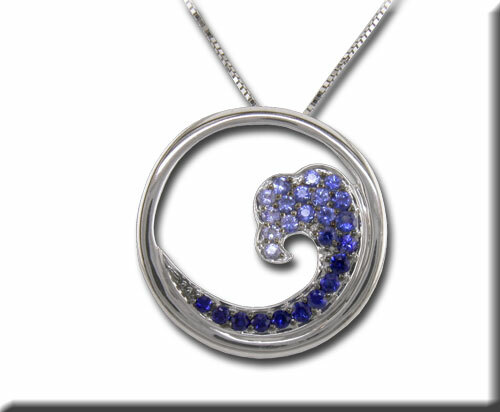 Looking forward to summer (and spring) and this Wave Pendant really gets us in the mood. Parle won awards with this fantastic design featuring darker blue sapphire at the bottom, medium blue sapphires in the middle and lighter blue sapphires at the top to give the true image of an ocean wave (or river swell? ).